Michael has over 20 years of branding, communications, art direction, digital and social media, inbound marketing, and digital design and development experience. His background spans a variety of industries including financial services, education, healthcare, and hospitality. 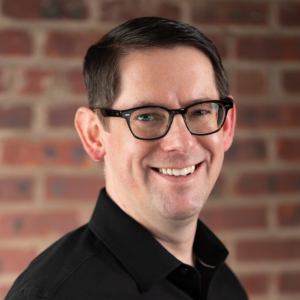 Prior to founding Imbue, he developed marketing and communication programs for Penn Mutual and BNY Mellon focusing on design, copywriting, project management, and marketing strategy. His background also includes leading the creative team at Advanced Clinical Communications, a medical communications agency in Lambertville, NJ, and teaching positions at Montclair State University and Wayne Valley High School. Michael is a certified teacher of Speech Arts & Dramatics, received his bachelor’s degree in communication studies from Montclair State University, and holds a master’s degree in strategic communication from Purdue University. His work has been recognized by the Global Awards for Healthcare Communications; Medical, Marketing & Media (MM&M) awards; The Davey Awards; and The Communicator Awards. Michael is also actively involved in the New Jersey Communications, Advertising and Marketing Association (NJCAMA), where he currently serves as president. In his spare time, you can find him researching on his iPad, detailing his car, or at an amusement park riding the highest and fastest roller coaster he can find. Jane brings an extensive background in branding and marketing strategy, art direction, packaging, and print design to the team at Imbue. Her diverse experience reaches across multiple industries, including pharmaceuticals; oil, lubricants, and chemicals; and tradeshow promotion. Before joining Imbue, Jane served as the Director of Marketing for CAM2 International. She effectively rebranded and relaunched CAM2 in the automotive market and developed new product lines for automotive retail and box store shelves. She has experience working with a variety of multimedia organizations, tradeshows, journals, and public figures. 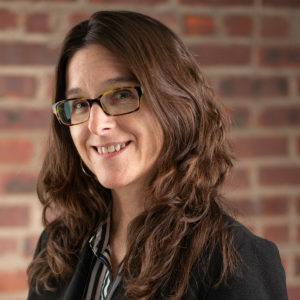 She spent 5 years as Creative Specialist at Bucks County Design Group, LLC in Doylestown, PA and 7 years as Art Director at KnowledgePoint 360 Group, a medical communications company, where she led the creative team in developing promotional materials for a wide range of pharmaceutical clients. Jane is a graduate of Philadelphia University. 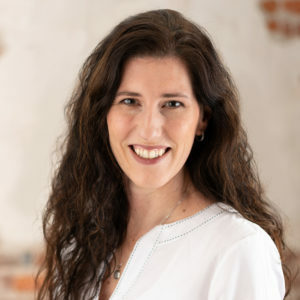 Laura has over 15 years of marketing, project, operations, and account management experience spanning a variety of industries including telecommunications, entertainment, and energy. At Imbue she manages day-to-day operations as well as client and internal communications. Laura began her career at Disney Publishing overseeing much of their magazine-subscription marketing efforts. Since then she has worked on the client and agency side as an account manager in both New York City and Philadelphia. Laura holds a bachelor’s degree from Bucknell University. When this busy mom has some time to relax, she enjoys going on hikes with her dog, Norman, and exploring new restaurants. 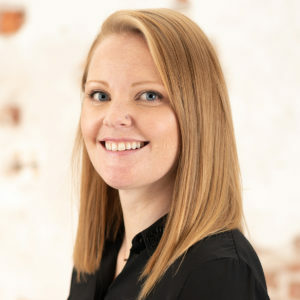 Whitney brings 11 years of experience to Imbue, including a background in marketing strategy, branding, advertising, email, social media, and direct marketing. She focuses on account management and all things social—here you can find her posting, pinning, blogging, browsing, tweeting, and tagging throughout the day. Prior to Imbue, Whitney was the Marketing Director at The Cornerstone Clubs of Bucks County. Whitney holds a bachelor of arts in fine arts from Drew University and a master of arts in communications, with a focus on neuroaesthetics, from West Chester University. If she’s not working with clients at the office, Whitney is enjoying time with her husband and daughters at home in Bucks County, PA.
Wendy’s marketing, graphic design, illustration, and print production experience spans a myriad of industries including retail, direct mail, real estate, education, non-profit, medical communications, and financial services. Her background includes layout, photo shoots, and spot illustrations for Macy’s advertising; creating marketing campaigns for a home inspection company; and design work for Coleco Toy Company. 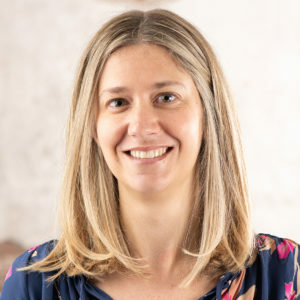 Prior to joining Imbue, Wendy designed and managed direct mail campaigns at a fundraising firm serving clients such as the ACLU, Habitat for Humanity, and the Sierra Club. Wendy holds a BFA in illustration from Syracuse University. She is currently pursuing an MFA in graphic design from Vermont College of Fine Arts. When this mom of four has a few spare minutes, she can be found oil painting in her home studio, volunteering with her girl scout troop, or reading a good book. Imbue’s extended team is comprised of some of the area’s best talent, including print designers and illustrators, presentation specialists, copywriters, PR specialists, digital marketers, and web designers & developers. Go Team!